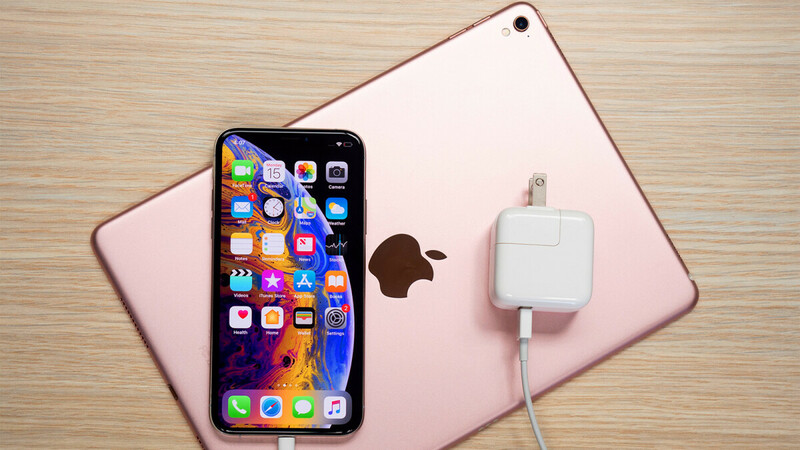 However, users have more than enough options when it comes to fast-charging solutions, two of which come straight from Apple and could even be tucked away in a drawer at your place, waiting patiently to juice up batteries once again. We are talking about your regular iPad and MacBook chargers, which are both capable of topping up your new iPhone way faster than its standard charger. As we were quite eager to find out how much faster can you charge your iPhone should pick up a more capable charger, we devised a super-simple, yet pretty telling test. We used one and the same pair of iPhones in all tests, an iPhone XS and XS Max; moreover, we've made no deliberate software or hardware in-between the test in order to obtain pristine data. Aside from the stock chargers and Lightning cables found in the original boxes, we also got hold of a standard 12W iPad charger that normally costs $19, and last but not least, an 87W USB-C MacBook Pro (2016, 2017, 2018) fast charger paired with a USB-C to Lightning cable, which you have to purchase separately from Apple. No spoilers, but the latter would yield the best results although the grand total of $79 for the charger and $19/$35 for the 1-meter or 2-meter variations of the USB-C to Lightning cable make that solution quite pricey. Have in mind that the new iPhones naturally can't receive the tremendous input of 87 watts of power that the brick is capable of pushing out. It would seem that the phones are capped at 18W similar to last year's iPhone X, meaning that regardless whether you pick a 29W, 30W, 61W, or an 87W power adapter, you should be able to achieve the advertised charging speeds. As we had an 87W brick, we resorted to using that one, but have in mind you should expect similar results with the aforementioned MacBook charges as well. Okay, enough setting up the plot, it's time for the raw data to come pouring in! Here's what we found out. As you can see, the results are telling a rather non-ambiguous tale. The stock iPhone charger is traditionally the slowest, most aggravating when you're in need of a quick top-up, and most suitable for lengthy overnight charges. In all honesty, charging your iPhone during you active day-to-day endeavors is hardly ever a pleasurable experience, but the 12W iPad charger proves that it shouldn't be that much of a hassle - it took this one roughly 30 minutes less to charge our iPhone XS up to 50%, which is quite an improvement. Looking at the 87W MacBook charger, it naturally charges the fastest, and we actually managed to shed off 2 minutes from the advertised 50% battery charge in 30 minutes. As far as full charges go, the trends remained largely unchanged - the stock charger was, well, very slow, the MacBook charger performed admirably, and the iPad charger stood as a nice middle ground. What about the larger iPhone XS Max? With its larger battery, this one naturally takes slightly more to achieve the same battery levels as its more compact peer. The stock charger would halve the battery level in 1 hour and 31 minutes, which is sloooooooooow, but do you know5 what's slower? That's right - the stock charger going for the full lap from 0% to 100%, which is a 3-hour-and-23-minutes endeavor. To put things in perspective, the critically-acclaimed cult classic The Lord of the Rings: The Return of the King runs for 3 hours and 20 minutes, so grab some popcorn and watch it if you haven't while you're charging your device. Meanwhile, the 12W iPad charger fares much better. Charge with it short of an hour and you will get some 50% of battery charge inside your phone; leave it hooked up for 2 hours and 40 minutes, and your phone will be fully charged. The 87W MacBook charger amazes once again - a 30-minute top-up will get you to 50%, while a full charge takes just 2 hours, which is an impressive result compared to what the stock charger is capable of. 2) the standard 5W iPhone charger is inexcusably slow. Of course, it's not exclusively an Apple practice to sell more potent phone accessories separately, as multiple manufacturers did just that even before the iPhones had scored quick-charging. 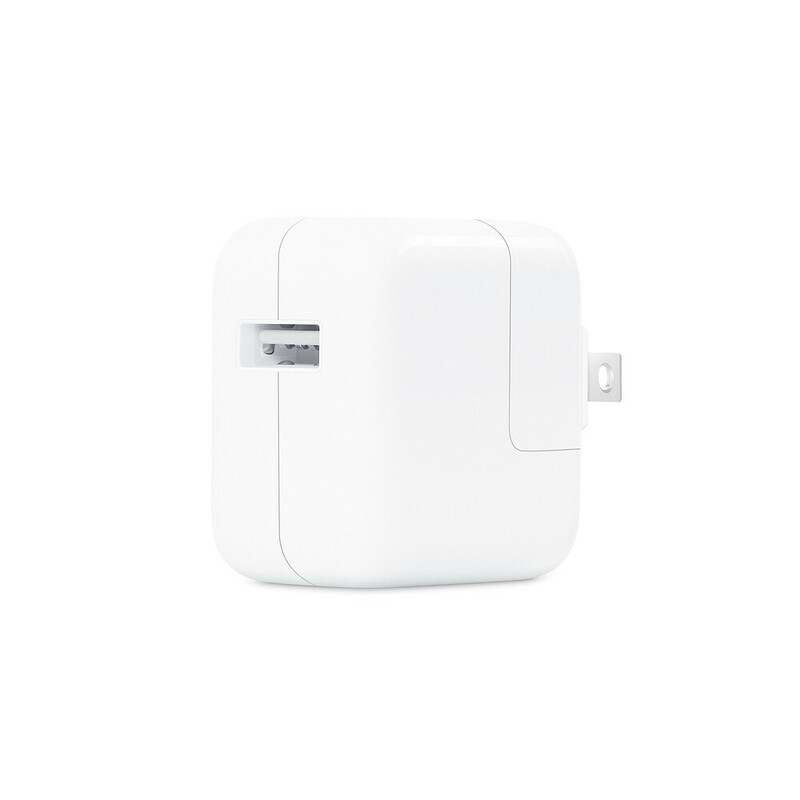 However, it shows how behind the times the stock 5W charging brick is, falling ungraciously behind all of its Apple-branded brethren, especially those sweet iPad chargers that seem more and more appealing. We'd actually recommend getting yourself an iPad charger or any compatible MacBook charger. Given that the iPad one is the most affordable at $19 and the MacBook ones start at $49, we'd wager most of you would rather consider getting the tablet charger. Needless to say, it will be wonderful if you already own any of the chargers listed above, great! Feel free to use them and charge your iPhones much faster than what the stock charging brick would otherwise let you and don't be afraid you'd "fry" or somehow harm your $1000 gadget. By all means, if you have one of these lying around, use it! At first, I thought the title was exploded. When it comes to fast chargers, it's Apple exclusively. But they have to appease the hand that feeds them. i doubt that 87 Watt mac charger is good for the battery, wow my laptop uses a 400watt charger. i should try my phone on that. As long as the phone has the proper circuitry, it will never take the full 87W. It will only take 15 or 18W, enough to do proper fast charging. Why wouldnt it be.agan no matter how many times its repeated you all dont I understand texhnology. Batteries that are designed to be fast charged, will accept up to the current they are designed to take. It doesnt cause degradation of any kind. Qualcomm has stated this in their fast charge FAQ. Please go read it.https://www.qualcomm.com/solutions/mobile-computing/features/quick-charge/faq If you use a charger that is rated higher than the batteries were designed to take, the charging hardware will still only accept current up to its maximum accept voltage. It dosnt matter if you use the Macs 87watt charger. It will still only charge at the phone accepted rate. It doesn't use Qualcomm's quick charge. Still not exactly impressive recharging times. So for this year it's very underwhelming battery life for the new iPhones and on top of that quite long recharge times. I have to say that my XS battery lasts longer than my S9 did with the same day-to-day use (my routine has remained the same in the last 6 years). Not to mention the XS sleeps better than my last three Samsung phones did. I'm not happy about the size of the battery and wish it was larger in the XS, but it's not underwhelming. "Not to mention the XS sleeps better than my last three Samsung phones did." What does that mean? When not in use, the XS drains a lot less than my Samsungs did. I could have my S9 sitting on my desk with good signal and still drain while not in use... my XS hardly loses any power while it's idling. https://www.youtube.com/watch?time_continue=551&v=TmQJ0SEccOI You call this underwhelming battery life? Then i guess Pixel 3 XL battery life is just horrible. I don't think any of those are actually that good. I use my ipad charger since 6s plus and this is good coz i just bring one charger for my iphone Xs max and ipad pro. Still garbage for fast charging. The battery and hardware is capped at 18W, that's nearly 4X what the stock charger is callable of. Yet the charging times are only cut by about 30%. That's because it slows down the charge significantly after 50%. 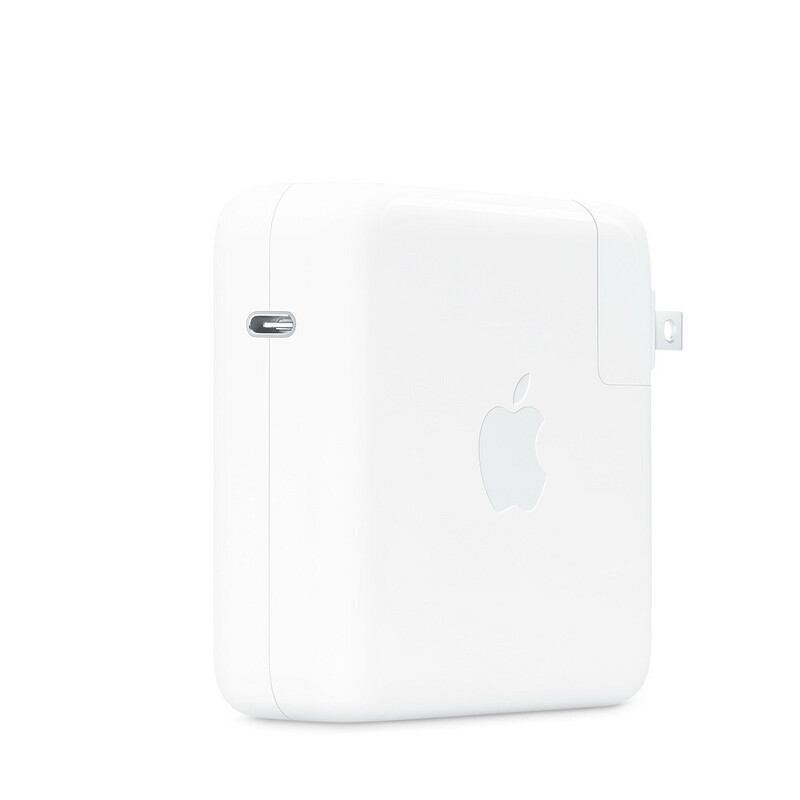 Apple's fast charging tech is quite basic, it probably at Qualocmm's Quick Charge 1.0 level. The new Mate 20 will change from 0 to 70% in 30 minutes. That's a huge difference in charging speed. Not too long when the average consumer charge their phones once a day, during bedtime. My iphone Xs Mx lasts longer than my X though i would love to have a 4000mag battery on it. 99% times i charge my phone overnight, i have two iPad chargers and still use iPhone charger. Phone is fully charged every morning :) I could charge my phone faster and still not doing it, charging speed never been issue and i don't think im missing anything. yeah... you charge over night... I charge about an hour at work 15% to 90% in that amount of time is nice... like i said, you dont miss what you never had... as much as the cost is it should be included and deeeeeeeeeeeeeeeeep down you know this man! Yeah only Geekbench scores matter, nothing is more important. Because all that matters is apps opening fast and how many Apple sales. But when you been using your phone all day and then it's one hour before time to leave to catch a train and your battery is at 20%, even if you charged it the full hour, without a fast charger you will gain only a eityer 30% or so. Or how about when you are boarding a bus that dowsnt have chargers or even planes that dont and your trying to top off for that flight.